Some of you may remember the tractor hat I posted not too long ago. This is essentially the same hat, with the exception of the color work pattern. 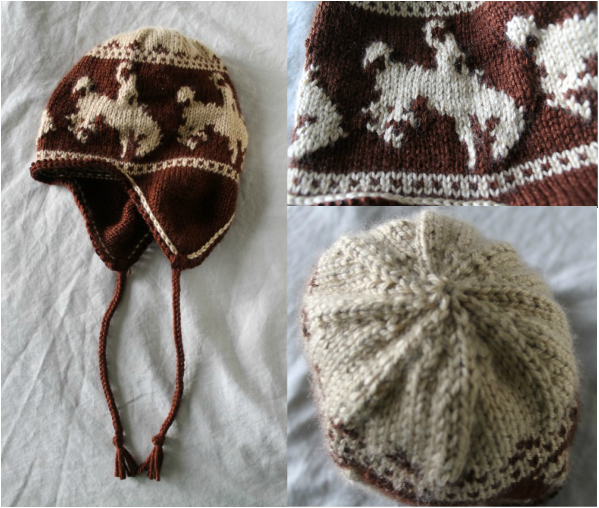 This hat is knitted from the bottom up, starting with the ear flaps. For the body of the hat, I start out knitting in the round then switch to the intarsia in the round method for the Tractor Chart (it could be stranded if the intarsia method is too confusing, but make sure to keep the strands loose as the hat WILL NOT be stretchy) and I finish off the hat by knitting in the round. Also, the braid attached to the ear flaps is an 8-stranded square braid. This hat is for a child, 5-12 years old. If you would like a different size, adjust your needles and/or your yard. Being careful not to twist, connect for knitting in the round. 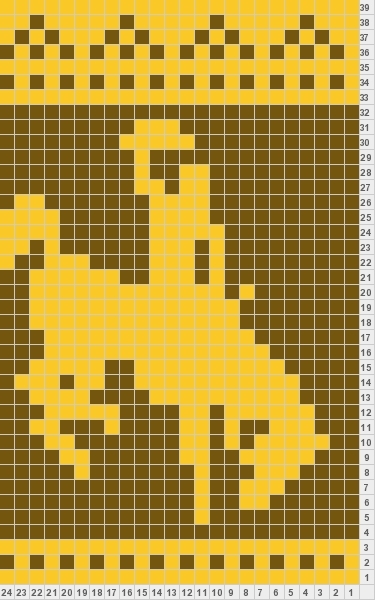 Knit 2 rows in MC then start Bronco Chart. Switch to DPNs in the last row of the Bronco Chart. SL around the base of the SCs just made using the CC. Weave in ends.